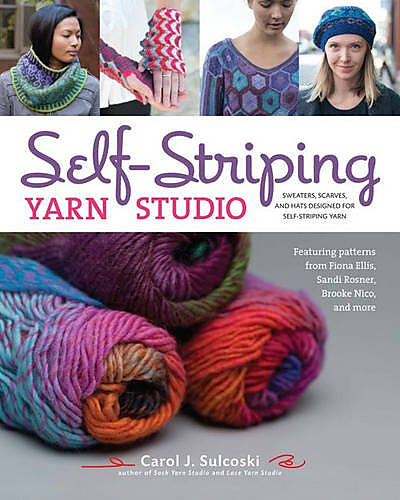 Renowned lace designer Brooke Nico has done it again! 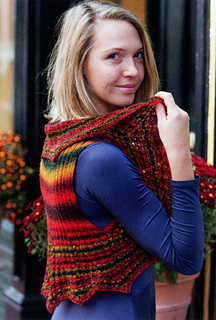 This vest features clever construction: knit the back section, then cast on stitches, knit across the back and cast on another set of stitches, then knit the rest in the round. 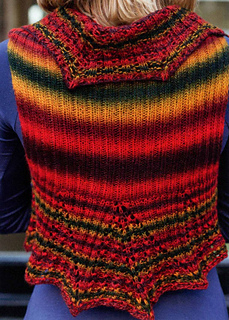 The unusual construction shows off the striping pattern of the yarn to perfection.